Headed to the big city with your little one? 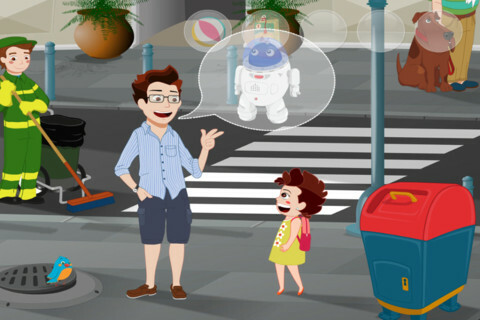 Download our Free App of the Day called Clara City, which teaches kiddos how to safely navigate through a city environment. Recommended for new generation devices and latest iOS versions. If the app doesn’t run properly on your device, please contact us specifying the iOS version and device model and we will work on it in our upcoming updates.